The defendants in that case are: Nuon Chea, former Deputy Secretary of the Communist Party of Kampuchea; Ieng Sary, former Deputy Prime Minister for Foreign Affairs; Khieu Samphan, former Head of State; and Ineg Thirith, former Minister of Social Affairs. 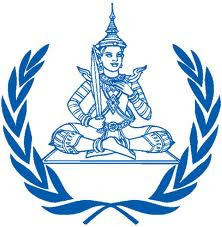 Each has been indicted on charges of crimes against humanity; grave breaches of the Geneva Conventions of 1949; genocide; and homicide, torture, and religious persecution withing the meaning of the Cambodian Penal Code of 1956. Under Rule 23 quinquies of the Chambers' Internal Rules, the Chambers "may award only collective and moral reparations" to victims who participate in the proceedings as civil parties. Unlike Article 75 of the Rome Statute of the International Criminal Court, the Chambers' Rules do not provide for the award of monetary compensation to victims. legal services for ethnic Vietnamese who the Khmer Rouge forcibly deported to obtain Cambodian citizenship. Readers may recall that the Trial Chamber addressed victims' reparations in its first judgment, issued against defendant Kaing Guek Eav (alias "Duch") in July 2010 (see prior IntLawGrrls post here). In that case, the Trial Chamber granted some requests by the victims, such as including their names in the judgment, and compiling and publishing the defendant's statements of apology. Several other requests, including requests for free medical care and educational measures not unlike those sought by the victims in Case 002, were left unfulfilled, because Duch was found indigent and the Chambers lacked a mechanism for national authorities or third parties to supplement reparations. Reparations have to be satisfactory for civil parties. Reparations have to alleviate their pain and grief. It is our duty to be ambitious . . . If we are not ambitious, we cannot represent our civil parties. Simonneau-Fort's comments call to mind the Basic Principles and Guidelines on the Right to a Remedy and Reparation for Victims of Gross Violations of International Human Rights Law and Serious Violations of International Humanitarian Law, which was adopted by the UN General Assembly in December 2005. In its resolution adopting the Basic Principles and Guidelines, the General Assembly stated that victims of gross violations of human rights law shall be entitled not only to restitution and compensation, but to rehabilitation and satisfaction as well. According to news reports, the victims' request in Case 002 has the support of the prosecution while the defense maintains such requests are beyond the competency of the Chambers. There has been much criticism leveled at the Chambers with regard to realizing victims' rights. Hopefully the Trial Chamber will grant this most recent submission the weight it deserves.